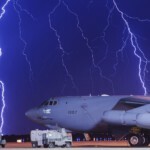 Aircraft lightning strike damage isn’t always obvious to flight crews. That’s why ground crews can’t rely on the flight log alone for evidence of lighting events. 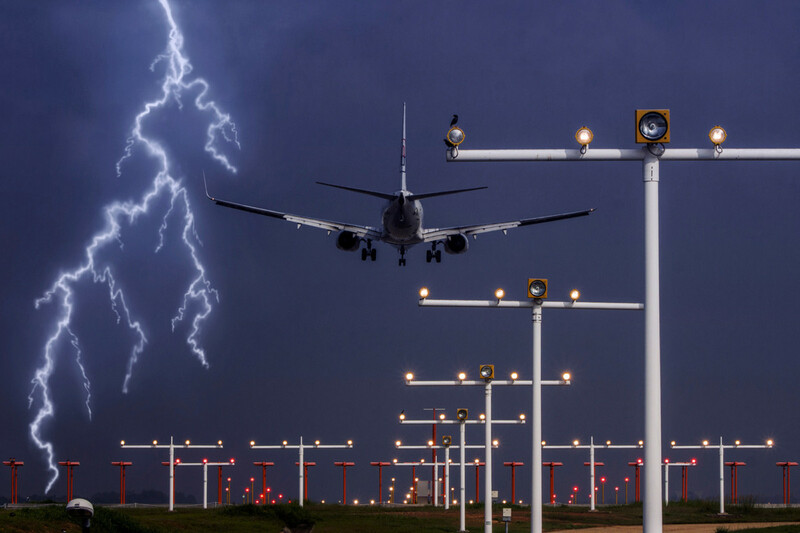 To maintain airplanes effectively, technicians need to understand that lighting is initiated at the airplane’s leading edges and that lighting currents travel along the airplane, potentially causing swept stroke damage. This illustration from The Boeing Company in AERO magazine explains how lightning travels. 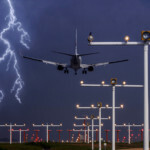 SAE Aerospace Recommended Practices (ARP) 5414 defines six airplane lightning zones. 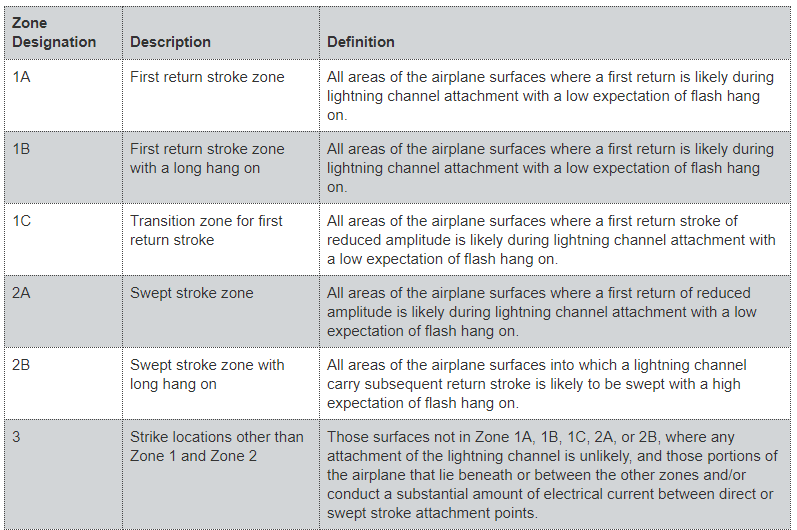 The following table, which is also from Boeing, describes and defines each zone designation. Zone 1 usually contains the entrance and exit points for lightning strikes. 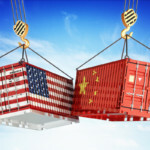 The external components that are most likely to be hit include the radome, nacelles, wing tips, horizontal stabilizer tips, elevators, and vertical fin tips. 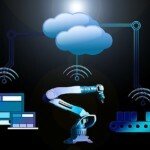 The ends of the leading edge flaps, trailing edge flap fairings, landing gear, and water waste masts, and air data sensors are also susceptible. Zone 2 doesn’t usually contain lightning entry and exit points, but technicians still need to look for aircraft lighting strike damage there. For example, the initial entry point could be the radome in Zone 1. However, the forward motion of the airplane may move the lighting channel back along the fuselage aft. Zone 3 inspections for aircraft lighting strike damage are also recommended. Ground crews should refer to an airplane’s specific Aircraft Maintenance Manual (AMM), of course, but there are some general inspection guidelines to consider. For example, it’s important to inspect all of the aircraft’s external surfaces – both metallic and non-metallic. Look not just for the entrance and exit points, but in areas where one surface stops and other surface starts. The inspections for each zone are similar. With Zone 3 inspections, however, maintenance crews need to examine all of the external lights, flight control surfaces, and landing gear doors. Technicians should also check the static dischargers, magnetic compass, and fuel quantity system. Crews should also examine aircraft internal components and test the radio and navigation systems. In SHINE’s next blog entry, you’ll learn about lighting strike repairs. 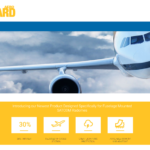 The conclusion to this series will describe WXGuard, lightning diverters that withstand the harsh elements of flight and are a direct replacement for your current radome lightning diverters.